Several major cities are now threatened with water scarcity, including a number in the South – but not only! The BBC lists 12 cities that are experiencing water supply problems: Cape Town, São Paulo, Bangalore, Beijing, Cairo, Jakarta, Moscow, Istanbul, Mexico, London, Tokyo and Miami. The UNESCO SIMEV Chair and the experts of its network contribute to the development of solutions. 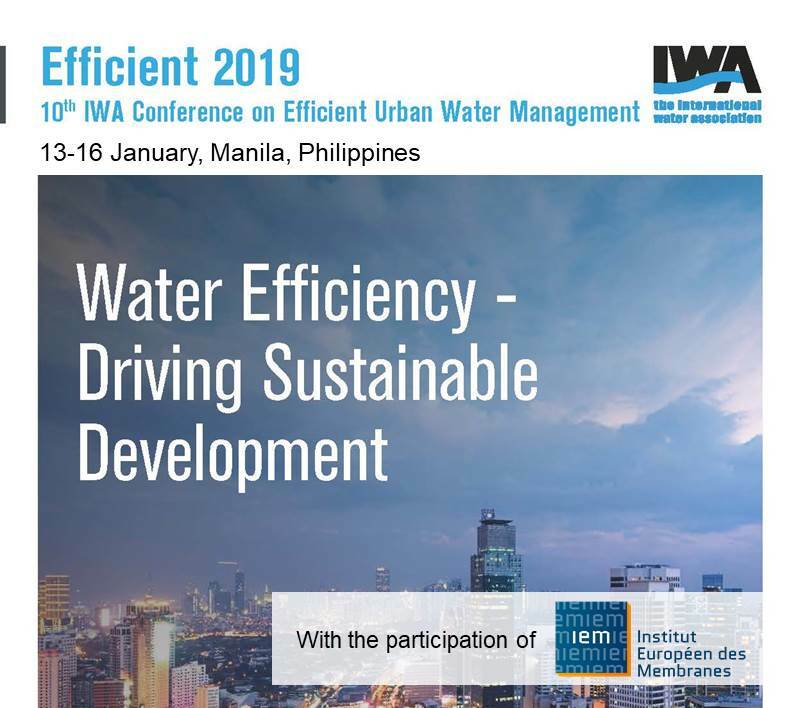 The International Water Association (IWA) Specialist Group for Efficient Urban Water Management brought the 10th IWA Efficient Conference to Manila, Philippines on 13-16 January 2019. The conference gathered water and wastewater professionals to think about shared challenges and promote efficient solutions. 3DEEM Fluorescence Spectroscopy to Increase Efficiency of Membrane Bioreactor.